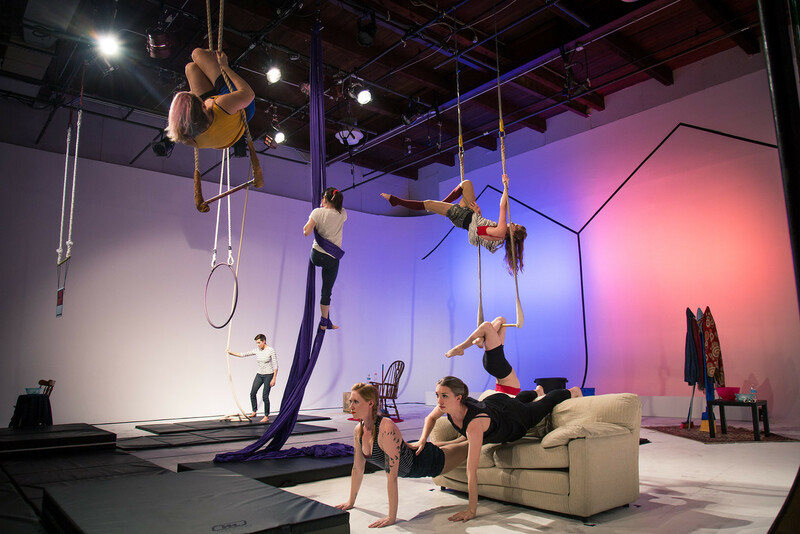 Aerial dance theater from an innovative, all-female company based in Philadelphia. 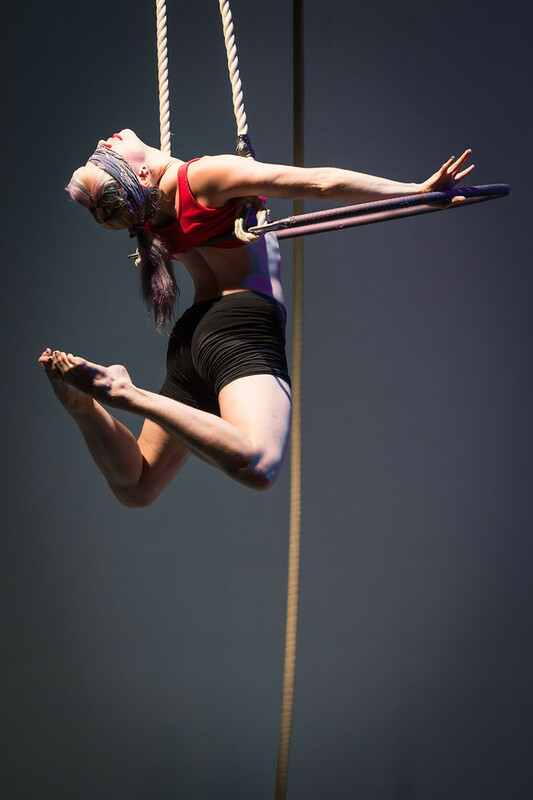 Sometimes you can’t just shrug it off— surrounded by standard sizes and rigid shapes, Tangle Movement Arts explores the freedom and frustration of dressing up in different roles. In the all-new circus-theater show ONE SIZE FITS MOST, Tangle’s acrobats climb through clothing racks, stitch together new styles, and lift each other out of the conventional. 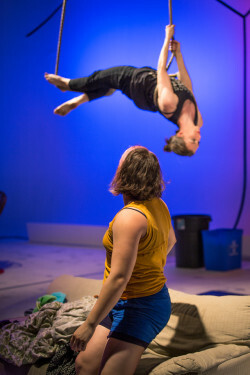 Mixing live music, dynamic acrobatics, and aerial storytelling in Kensington’s unique Icebox Project Space, Tangle’s 10-woman cast swap outgrown attire, weave new fabrics, and make space for each other in a world of narrow options. One Size Fits Most premieres at Icebox Project Space in Kensington on April 12-13, 2019. 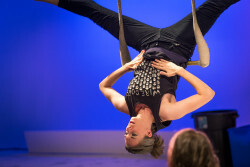 WHERE: Icebox Project Space (1400 N. American St., Philadelphia, PA 19122). WHEN: Friday April 12 (8pm), Saturday April 13 (3pm and 8pm). TICKETS: $10-$20 with discounts for students, artists, seniors, and groups. 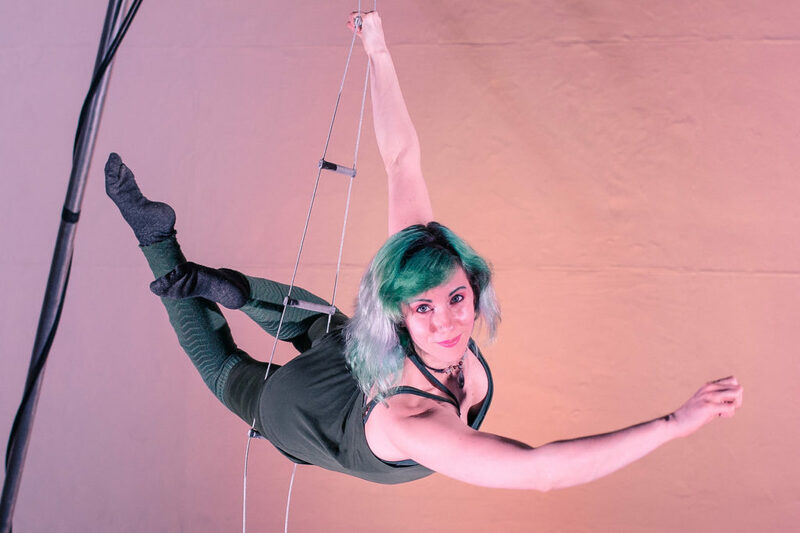 ONLY ONLY DISCOUNT: get 3 tickets for $30! 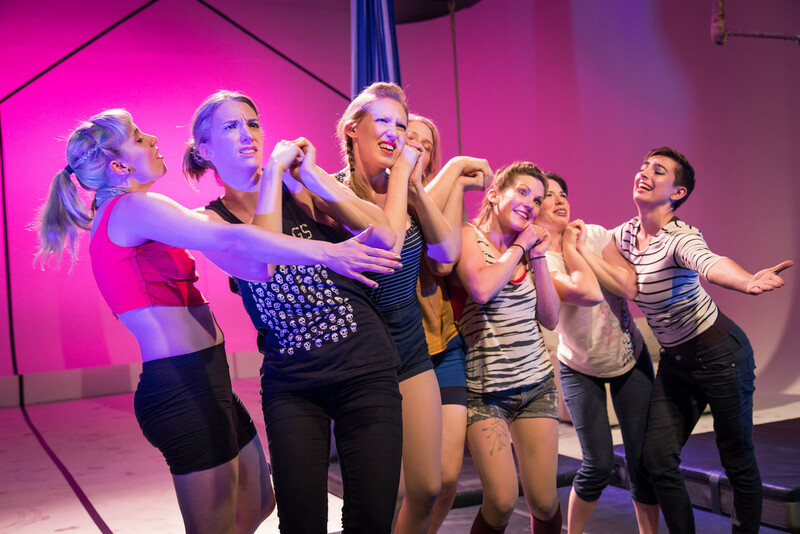 FAQ: The performance is family-friendly, although not oriented towards children. Free street parking available. Venue is wheelchair accessible. Theater opens 30 minutes before showtimes. It is not necessary to bring your printed ticket. 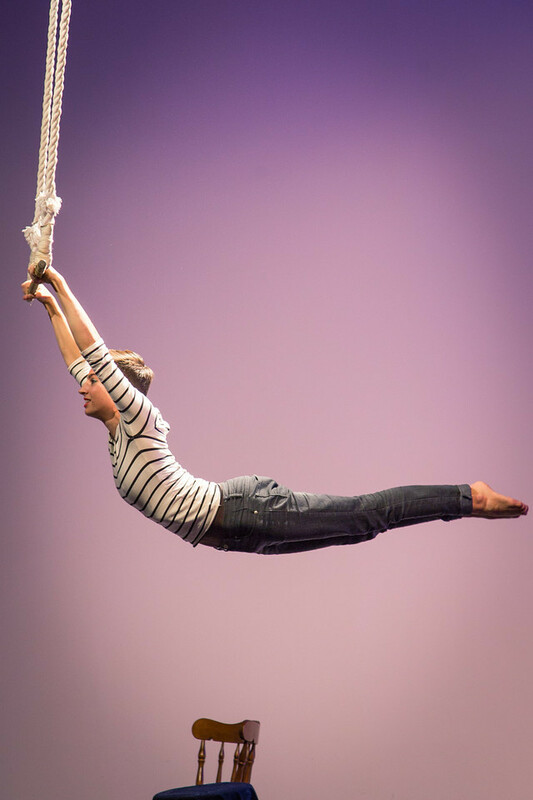 Contact info@tangle-arts.com or call 215-266-6215 with questions.